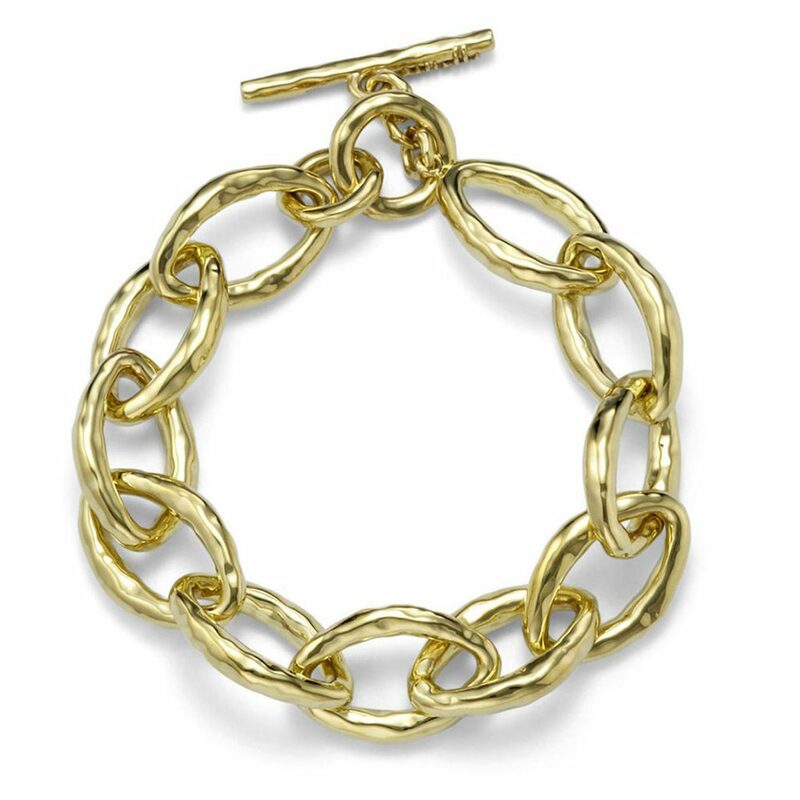 Essentially timeless pieces for your collection. 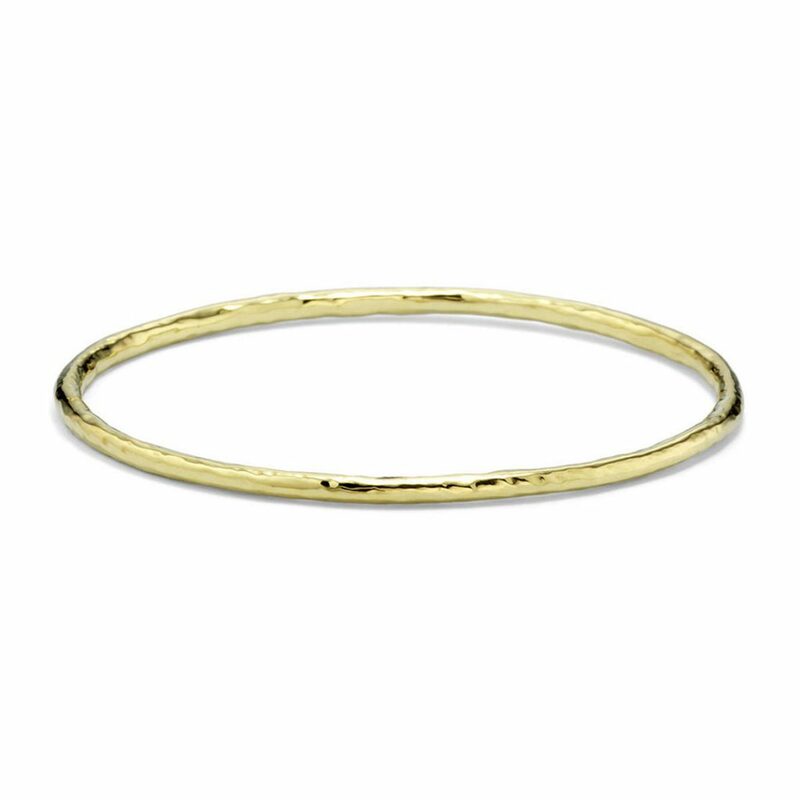 Signature IPPOLITA shapes are hand-sculpted and define your daily look with organic, polished or hammered surfaces…. 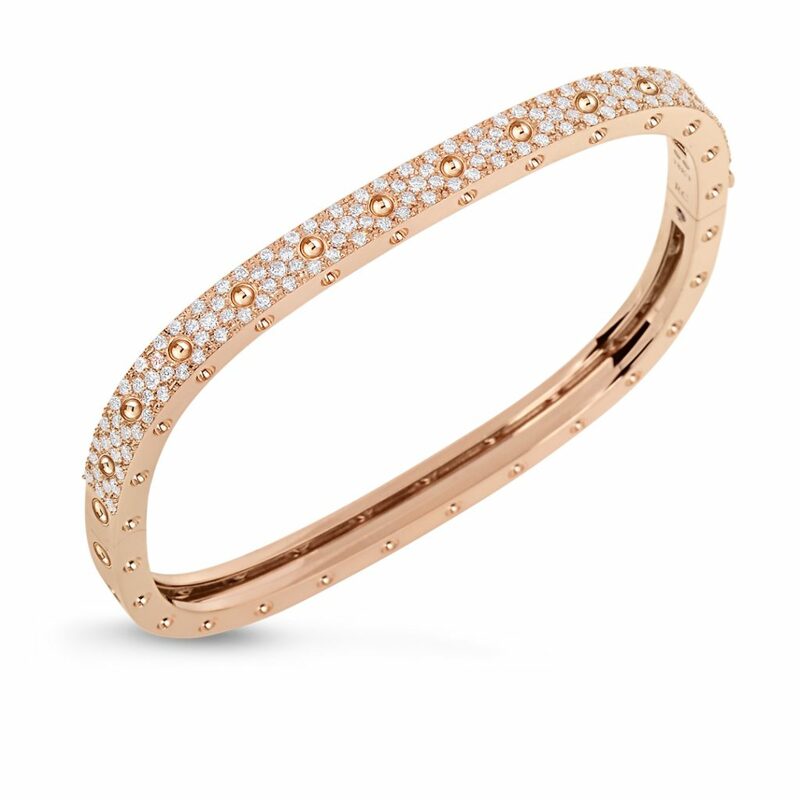 This 18k rose gold bracelet features 10.96 ct. of round brilliant diamonds. 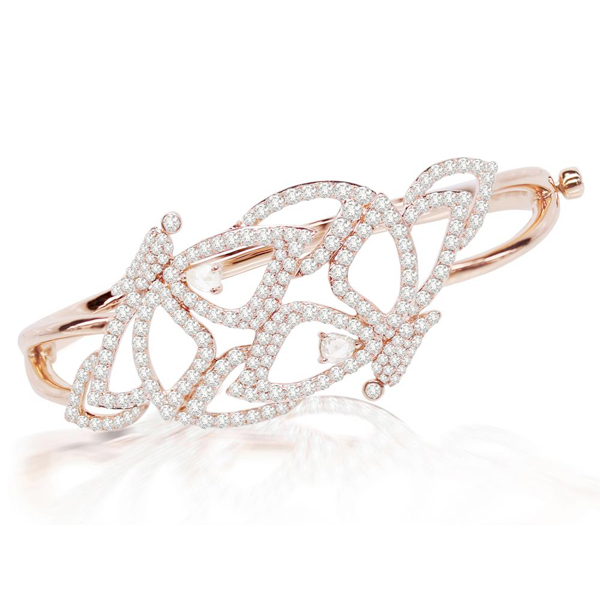 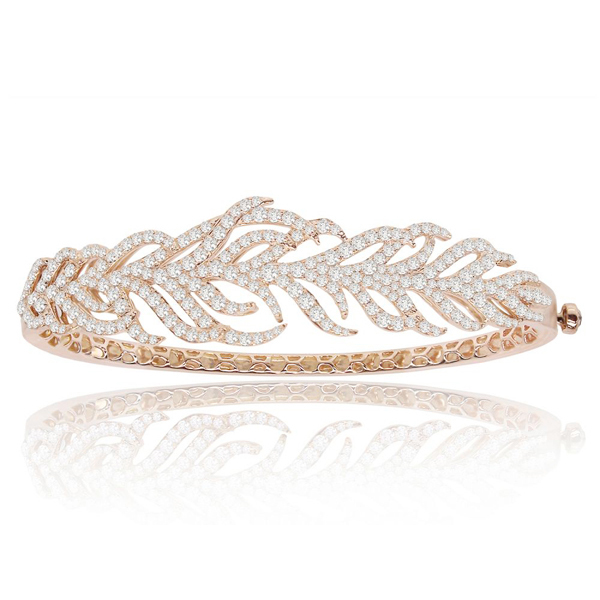 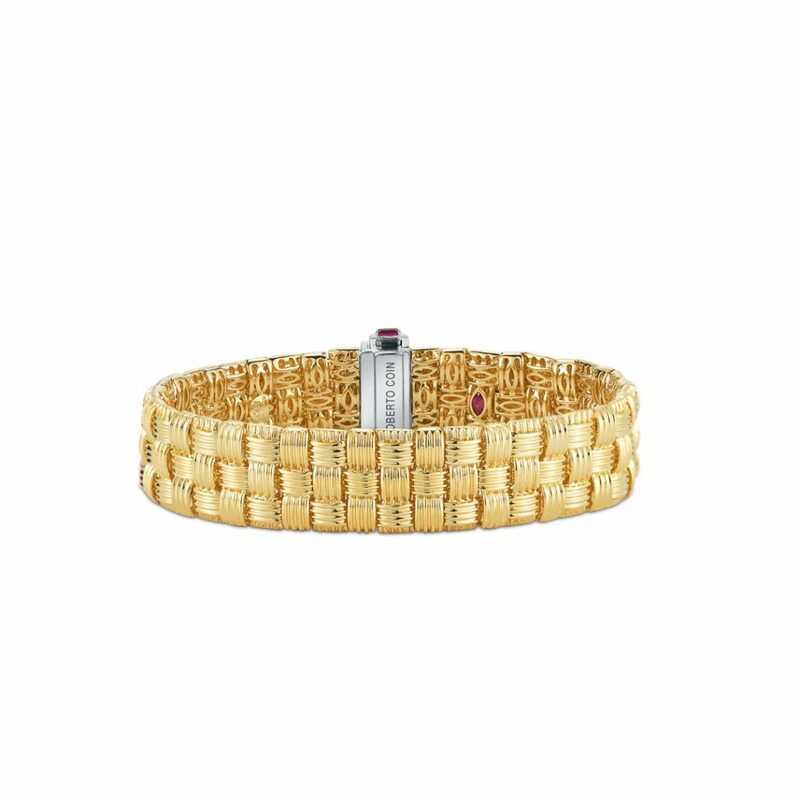 This 18k rose gold bracelet features 3.10 ct. of round brilliant diamonds set in a feather pattern. 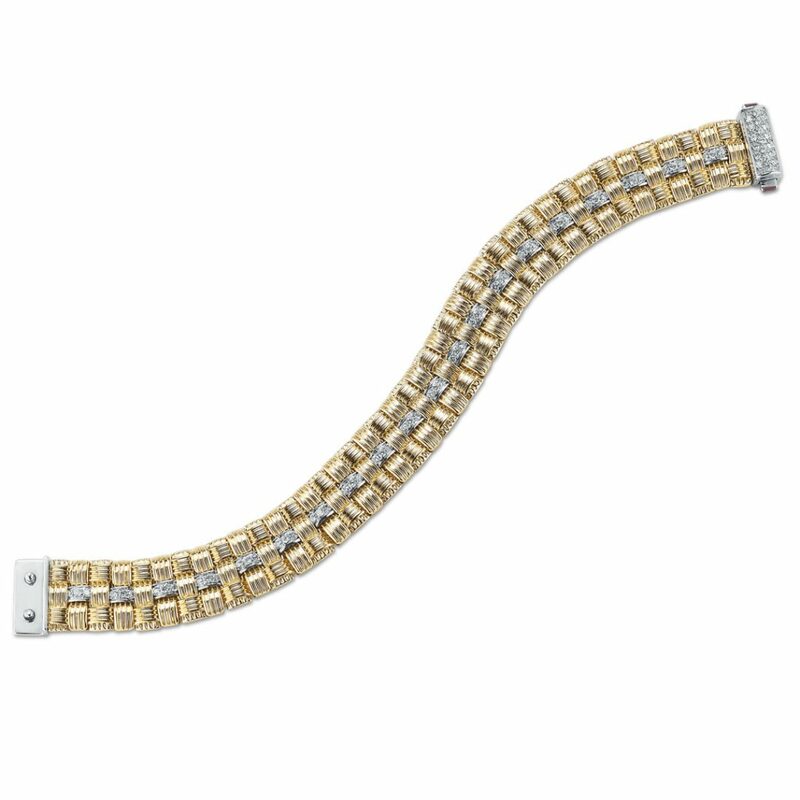 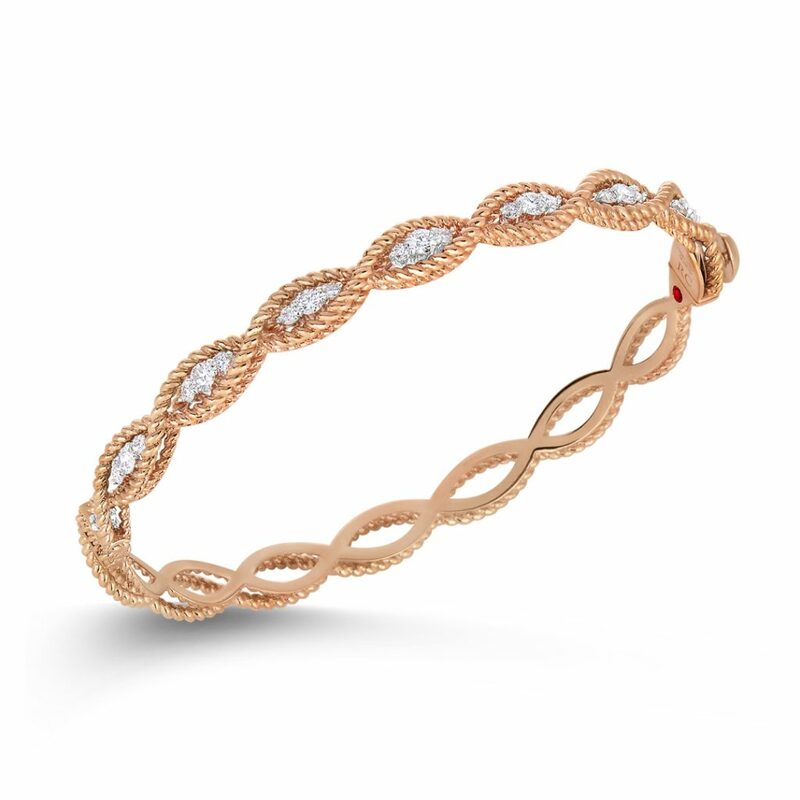 This 18k rose gold bracelet features 3.48 ct. of round brilliant and pear-shaped diamonds. 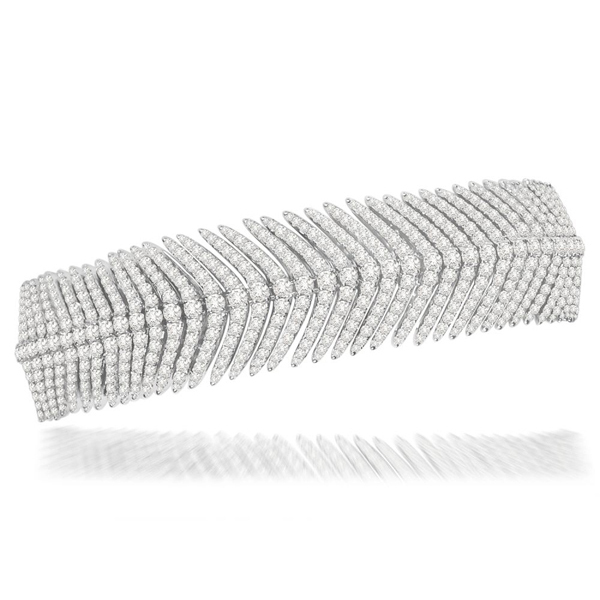 This 18k white gold bracelet features 11.30 ct. of round brilliant diamonds. 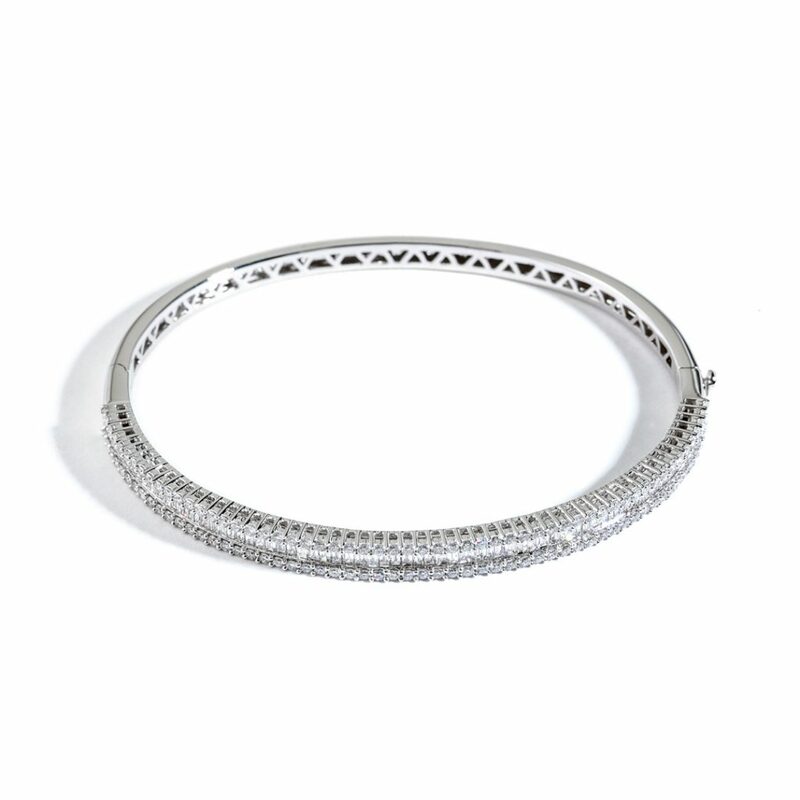 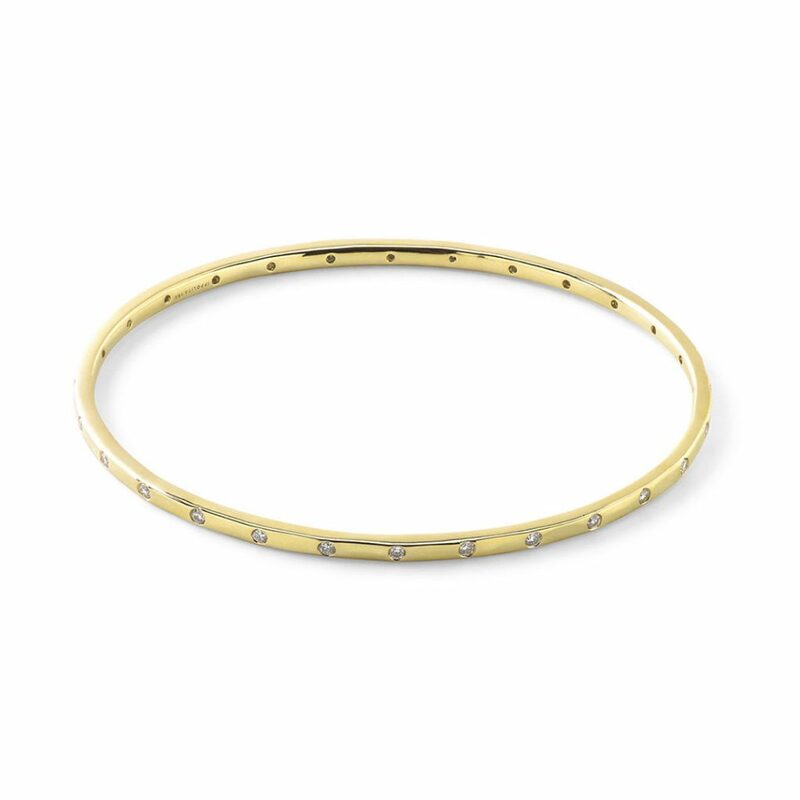 The 3 Row Baguette and Round Diamond Bangle from the Zadok Collection. 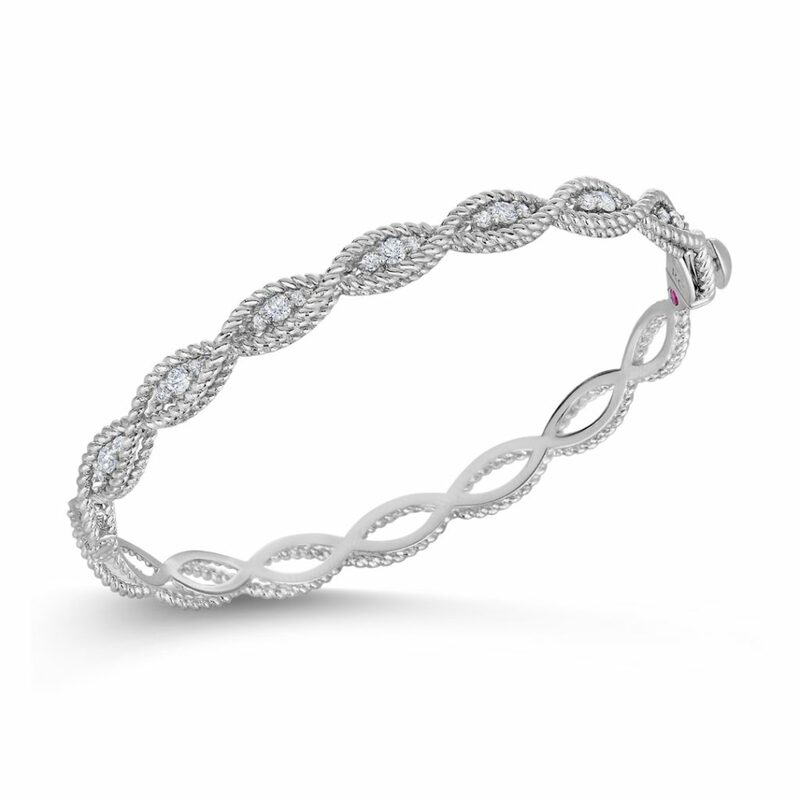 Set in 18k White Gold this lovely Bangle will mark every motion with classic style. 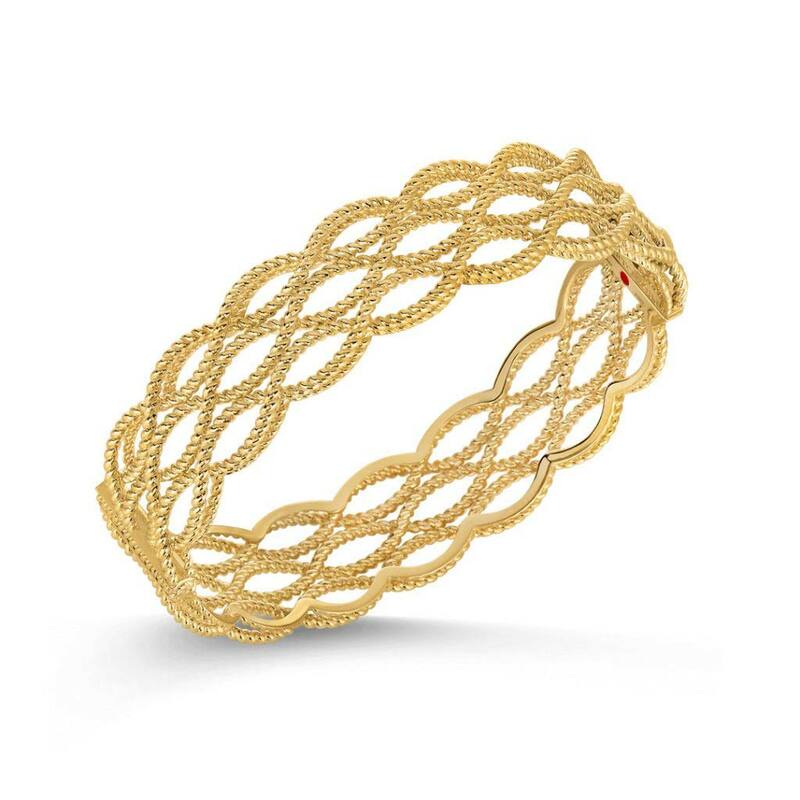 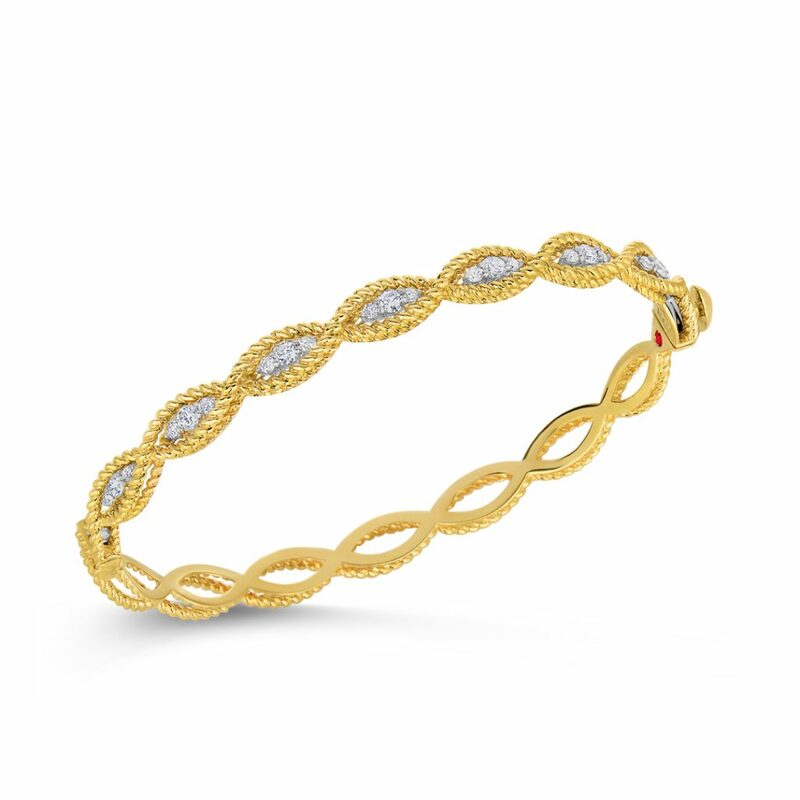 The 4 Station Flexible Bangle from the Roberto Coin Primavera collection, style number 557222AHBA00. 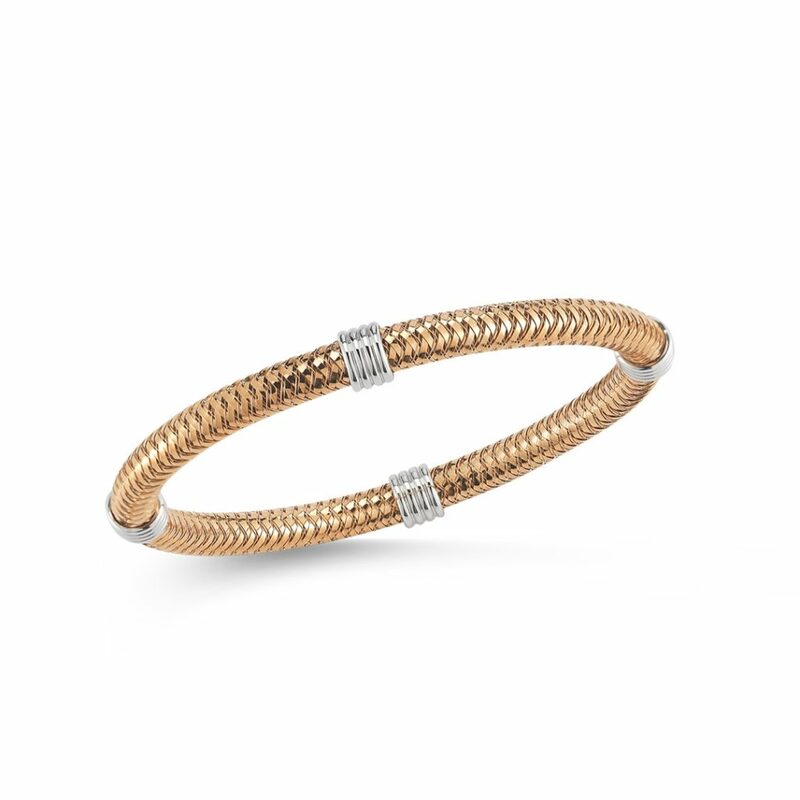 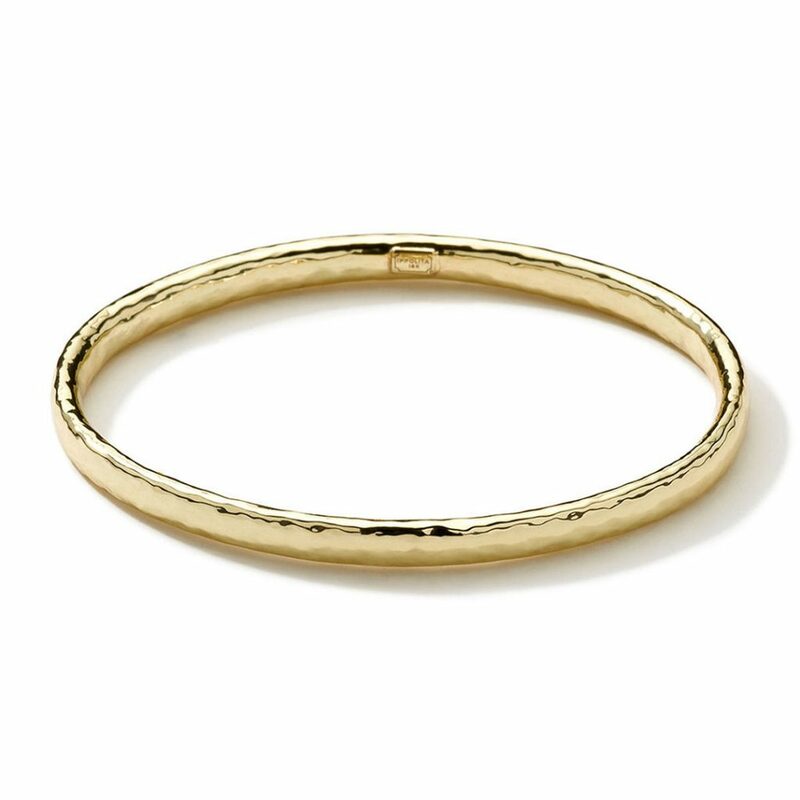 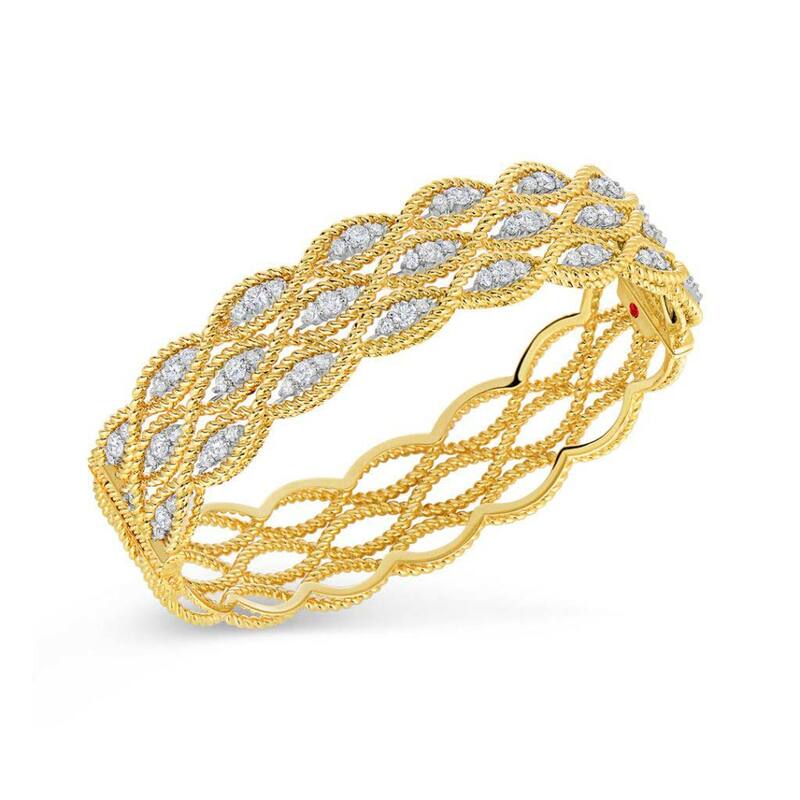 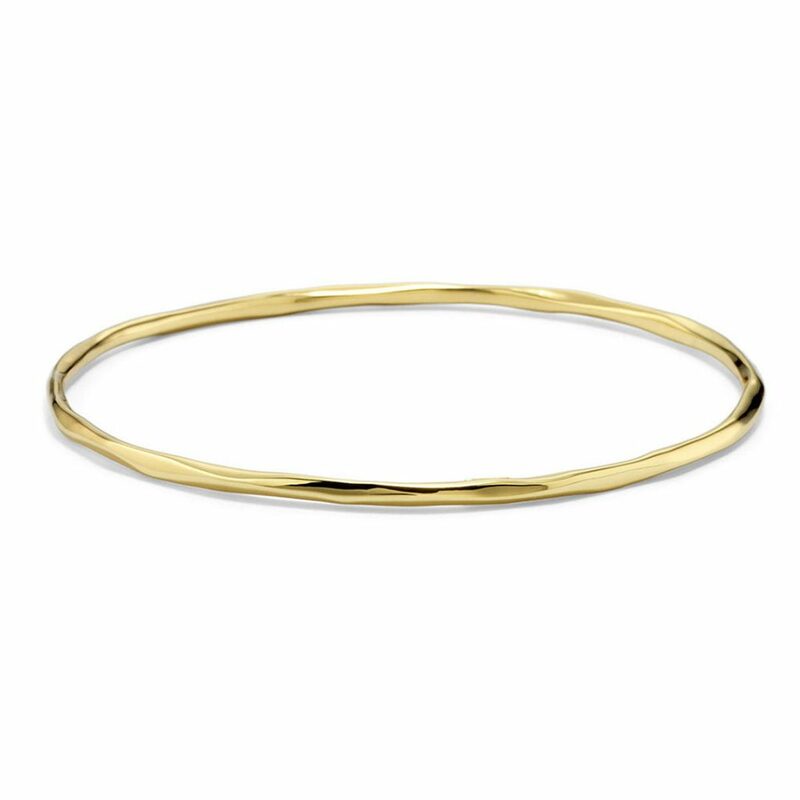 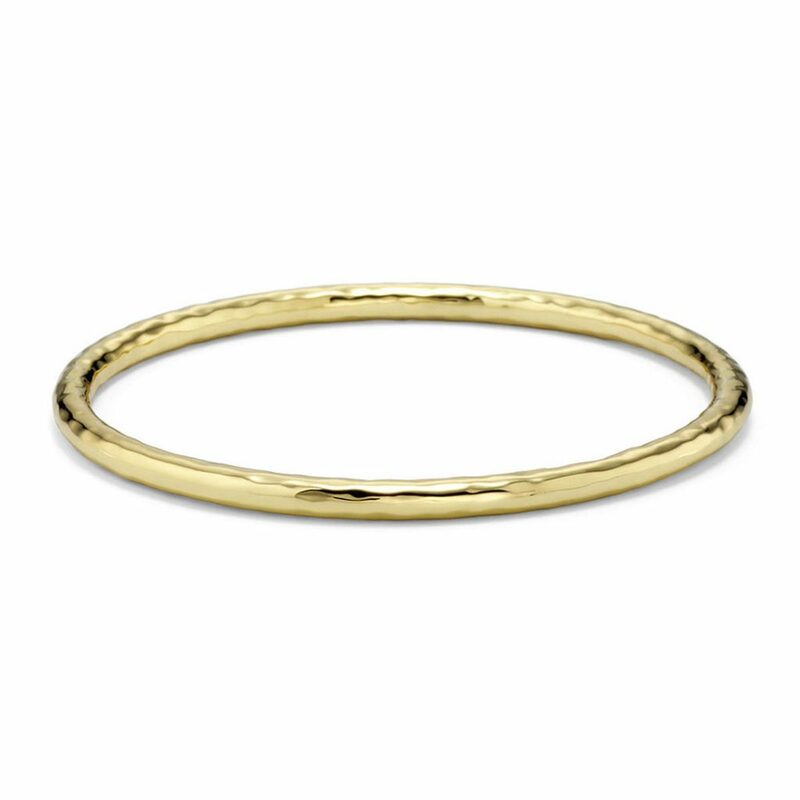 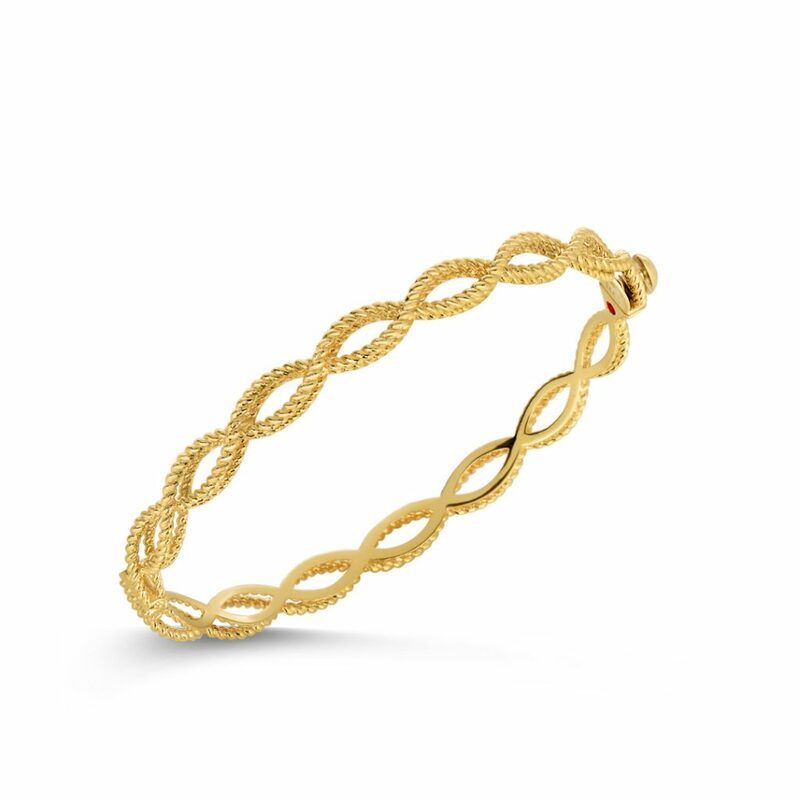 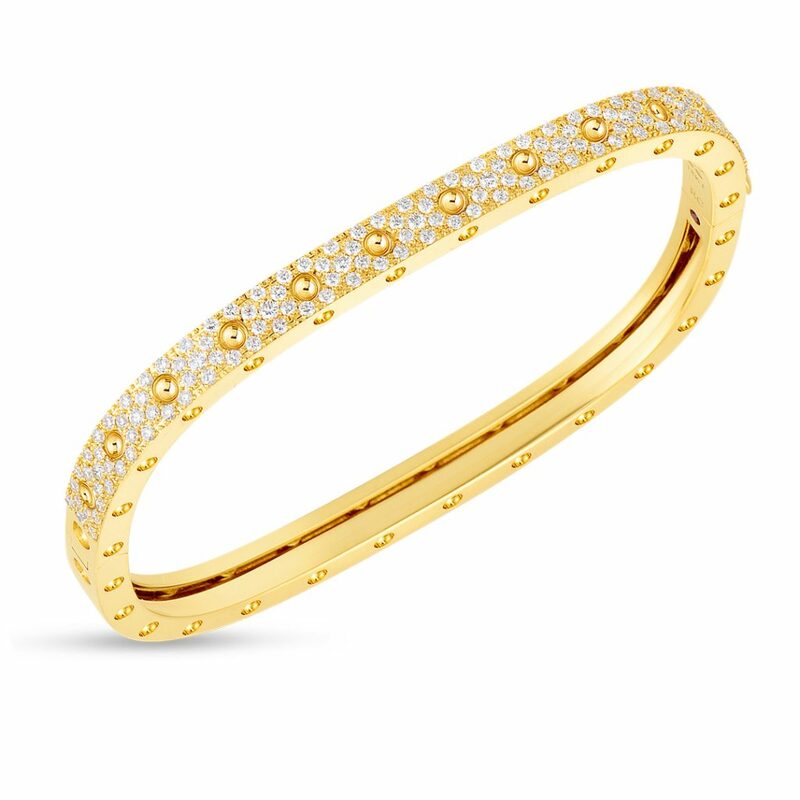 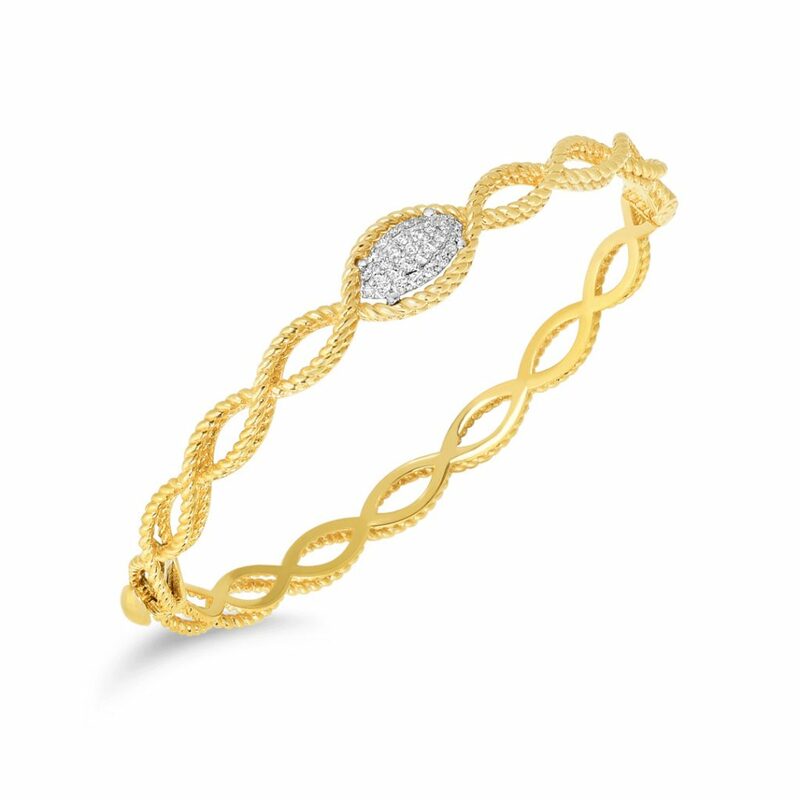 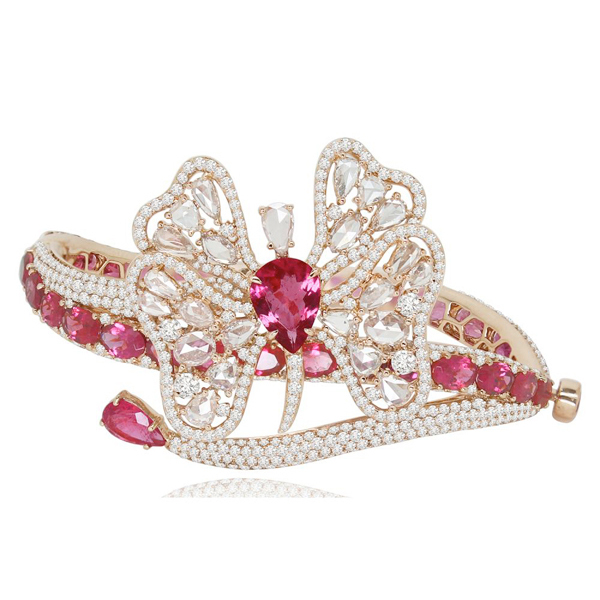 Set in 18k Rose Gold and 18k White Gold this gorgeous Bangle will delight your hand.